As a personal desire. I want to start exploring my design work in a fuller design projects. Its nice to be able to jump in and explore over here and over there but to me it comes at a cost. I loose interest in what I'm working on. Its not like having a world your creating and getting lost in. Different settings and locations in that place. So I'd like to start producing my art within these area's to explore the world more. I may work on several at a time to explore various areas but it will allow me to have a more cohesive world I am creating in. So when I sit down I'm not going. "Hm where do I design today." The valley of the great wind will be one of the projects I start to develop in my side time. 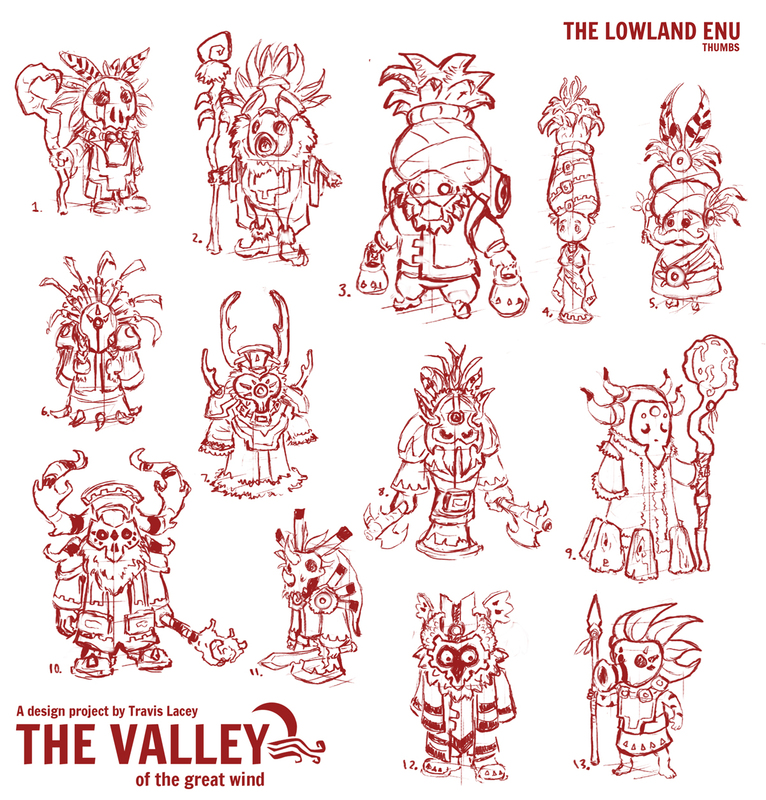 These are thumbs for a more tribal culture I'm calling the enu. I'm still exploring the idea of them and here was some various thumb sketch's Ive done. I like some. Some fall in areas I think are meh. Yet that is design!